Background: House Officers report significant levels of work-related stress that demands to be immediately addressed as it adversely affects their ability to function their best as doctors. This study aimed to assess the risk factors of psychological distress among the currently working house officers (2016-2017). 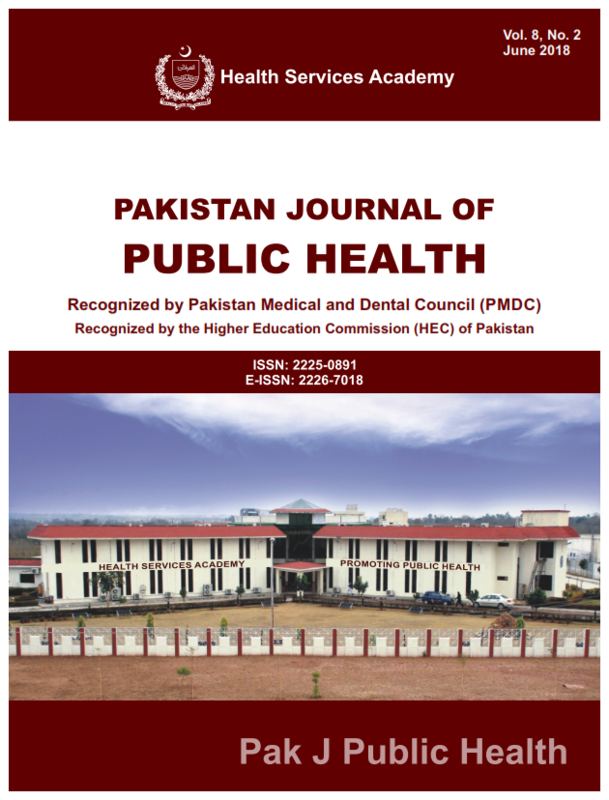 Methods: A cross sectional study was carried out in Civil Hospital, Jinnah Postgraduate Medical Centre and Abbasi Shaheed Hospital, Karachi during October 2016 and March 2017. A total of 384 house officers were approached for the study as per the sample size calculated using the Open-epi software. The questionnaire comprised of demographic data, 10-items perceived stress scale, and 12-items list of potential stressors. The severity of each stressor was measured using a five-point Likert scale (1-5) ranging from always (1) to never (5). Results: A total of 384 house officers were approached out of whom 315 (82%) participated. Among them, 115 (36.50%) were found to be under stress of whom 24 (20.8%) were males and 91(79.2%) were females. Significant difference for stressors by gender was found, these included their job having an effect on their health, change in eating habits and lack of paramedical staff cooperation (P < 0.05). Factors like increased hesitancy to take on tasks and increased tendency to make errors were found to have an impact on clinical performance (P value <0.05). Conclusion: There is high level of perceived stress in house officers of tertiary care hospitals, Karachi. Therefore, adequate steps are needed for stress management which should be dealt in terms of preventive rather than curative strategy.